This week has been a truly blissful week off work. I've been spending my days studying, working out, enjoying long walks (when the sun decides to grace us) and becoming increasingly invested in the Winter Olympics. 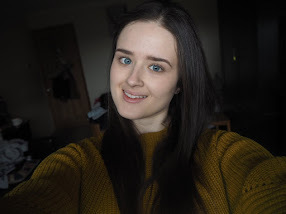 For a holiday week, I've been surprisingly busy which has definitely worked in my favour because the week has felt really long and I've been able to enjoy every minute! My jam packed week has been full of smiley moments but here are some of the highlights from my week off. Lazy breakfasts. 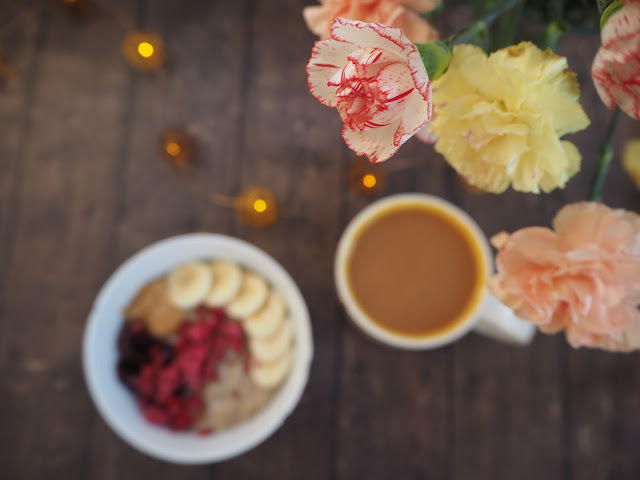 Breakfast is without a doubt the highlight of my day, so slow mornings with chilled out breakfasts and an endless stream of cuppas are definitely my jam. As I've been off work this week, I've really been enjoying not having to rush my breakfasts and, let me tell you, porridge and chai tastes 10x better when eaten on a lazy morning, in your pjs. Pancake Day. This Tuesday was pancake day and, although it seems to have fallen really early this year, I definitely wasn't complaining about the opportunity to eat my bodyweight in pancakes. I had university on Tuesday morning so I didn't have time for any pancakes until later in the day. When I got home from my classes, I definitely made up for lost time with a ginormous, syrupy, fruity, nut butter filled pancake feast for my dinner (and it was divine)! Holland and Barrett. This week, a mini Holland & Barrett store opened inside my local Tesco store and I was beyond excited to explore. I may or may not have been the first customer through the doors when the mini-store opened on Wednesday morning and it was even better than I expected. The addition of a health food store to my local supermarket means that I'll be able to pick up any specialist vegan foods and cosmetics during my normal food shop which will save me so much time - plus they had nutritional yeast, what more could I want?! Valentines Day. Valentines Day isn't a massive deal for Jay and I and we usually just stick to buying each other food based gifts because, let's be real, food gifts are the best gifts, right?! Because I haven't been at work this week, we got to spend the whole of Valentines together so we spent the day doing our favourite things; eating good food, smashing out a gym session and going for a long walk. We finished the day with (you guessed it) more food, and instead of going out to eat, we opted for a takeaway, ice cream and a good movie - perfect. Growing herbs. I recently decided to try my hand at growing some of my own food so I picked up a window sill herb garden from the garden centre but, I'm not going to lie, me and house plants don't have the best track records so I wasn't holding my breath. I planted some basil, coriander, chives and parsley and after a few weeks of watering, the coriander started to sprout this week and I am beyond happy - here's hoping the other herbs follow suit! Booja Booja ice cream. The new Holland & Barrett in my local Tesco means that I can now buy Booja Booja ice cream whenever I fancy! Booja Booja has to be one of my favourite vegan ice creams because it's ridiculously creamy and flavourful and I'll never get over the fact that it's made with only four ingredients (like how do they do it?!). But I am going to have to exercise some self control because, at almost £6 a tub, it's (unfortunately) not a treat I can afford to have all that often. Icy puddles on bike rides. Although it probably makes me sound like a small child, I have no shame in admitting that crunching icy puddles is one of the simple pleasures of cold winter mornings. But, on a bike ride this week, Jay and I discovered that riding over an icy puddle is even more satisfying than crunching one under foot. It really is the little things.